Repairs, cyclical maintenance, regeneration projects should be overseen by Local Resident Boards with resident majorities. Let's have transparency and democracy! No sales or ‘conversions’ to higher out-of- reach rents of existing social housing. We support social housing to beat the housing crisis! A completely independent complaints procedure. The present system has failed. Democratic elections of all residents representatives on the Board and all other committees of Notting Hill Genesis (NHG). No more 'appointed' residents! The Board should have at least 50% resident representation, elected by residents. The creation of directly elected Local Resident Boards with resident majority to oversee all operations in the local area. 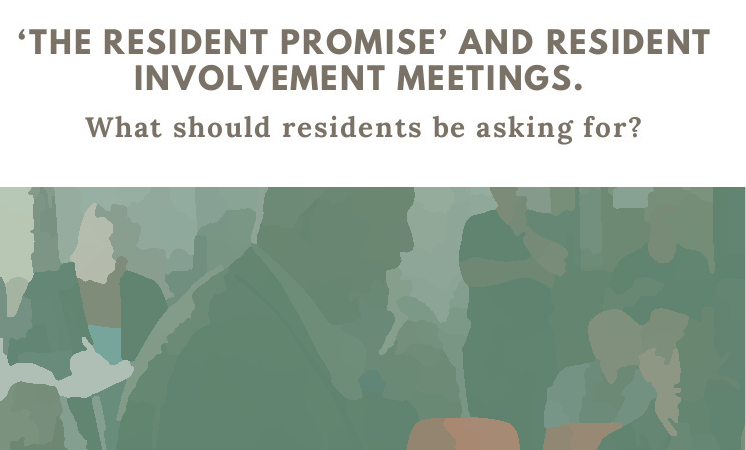 Residents should form at least 50% of directly- elected independent shareholding. Complete transparency and open research. Board minutes should be disclosed as well as research and information on issues which affect residents. No increases in current debt levels for out-of-reach homes without resident agreement. Ratings agencies say NHG intend to increase the £2.8 billion debt to around £4 billion by 2020 to pay for constructing largely out-of-reach homes. Residents - who have no democratic say in the level of debt - will pay for this very poor policy which will not solve the housing crisis. *Both HAs have 'converted' thousands of social rent homes (about 40% of market rent) to higher 'affordable' rent (at up to 80% market rent) homes in the last 8 years.